Blackberry combines the incredible juiciness of freshly picked blackberries, with a subtle sweet and sour kick. 50% PG / 50% VG. 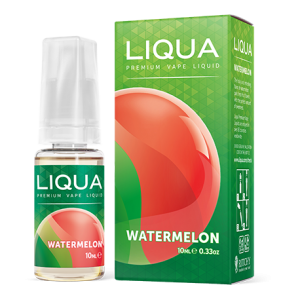 SKU: LIQUA "ELEMENTS" Categories: E-LIQUID, JUICY BERRY, LIQUA "ELEMENTS"
Nicotine is an addictive substance. This product has not been approved by the U.S. FDA as a smoking cessation product. This product is simply an alternative to tobacco smoking and should only be used by long-term smokers. This product is therefore not intended for diagnosis, treatment, preventative, cure, or mitigate any disease or medical condition or offer any therapeutic benefit. Do not use this product if you are under the legal age of smoking or if you are sensitive to nicotine or inhalants. Do not use this product if you have or if you are at risk of having any respiratory conditions, heart disease, high blood pressure or diabetes. Consult your doctor before use if you have any medical conditions. Do not use if you are pregnant or nursing.